Michael Jordan hasn't played in the NBA for more than a decade, but fans are still lining up for his sneakers. CHICAGO -- Michael Jordan hasn't played in the NBA for more than a decade, but fans are still lining up for his sneakers. 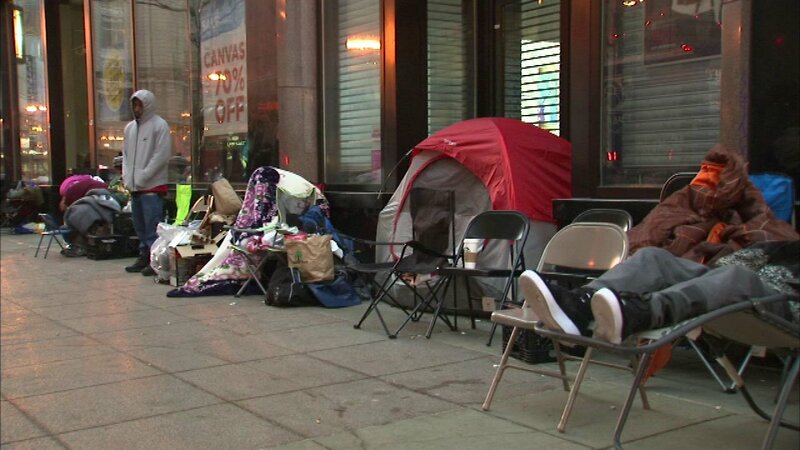 On Wednesday, three days before the new "Just Don" Air Jordans are scheduled to hit the shelves, people were seen camped outside the Michael Jordan store on South State Street in Chicago's Loop. They brought folding chairs, tents, blankets and coats to keep them comfortable while they wait to get their hands on a pair. The "Just Don" Air Jordans go on sale Saturday. The retail price is listed at $650.